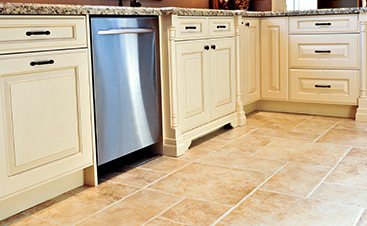 There are several things to consider when using ceramic and porcelain tile to beautify your home. Both ceramic and porcelain have a timeless beauty that can give your home a classic feel but can also blend well with more contemporary decor. Furthermore, both materials have qualities that make them practical as well as beautiful in the home. Once you know the qualities of these materials, you can more easily use them to beautify your home. 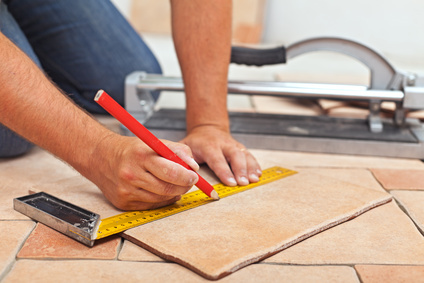 When using porcelain or ceramic, it is important to consider the size of the tile. Wall tiles usually tend to be smaller than floor tiles, but either can be customized to a size you prefer. However, a larger tile on a wall may not be as aesthetically pleasing as a smaller one. It is also possible to mix and match porcelain and ceramic, but you should be aware of the differences between the two so that you can maximize the qualities of each. Simply put, ceramic is a substance made from a mixture of clays. You can find it glazed or unglazed based on your preference. 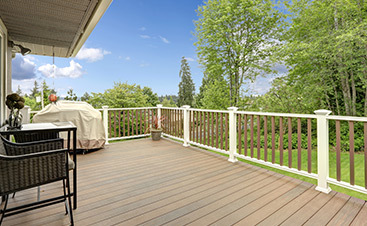 Many people prefer ceramic because it is easy to clean and fire resistant. It is also resistant to scratches, stains and slipping. Furthermore, ceramic does not fade in the sunlight. However, if the tile does not glaze properly, it can chip easily and the color on the inside will show. This is why many people do not use tile on countertops or other frequently used surfaces. With this in mind, glazed ceramic tile for the walls can be a beautiful addition to a room such as a kitchen or bathroom. Ceramic adds a touch of color and variety since tiles are unique to each other. Mixing and matching tiles can also create a unique color scheme to brighten up a room. If you want to use tiling for the floor, you need to look for a high gloss, matte or abrasive slip-resistant finish that is too slippery or scratches easily. 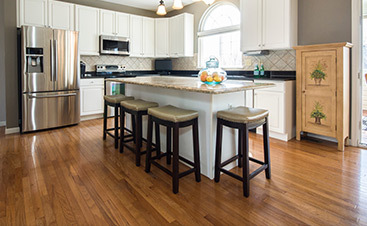 In other words, avoid bright glaze finishes for floors. Porcelain is a type of ceramic tile, but the clay used to make porcelain is a much finer grade of clay. After it has been sprayed, the clay is shaped by dry pressing and fired at a higher temperature than ceramic. However, one of the things that makes porcelain attractive to many is its resistance to moisture. This makes porcelain ideal in kitchens and bathrooms where water is frequently used. Since it is also denser than ceramic, porcelain can also take heavier loads. Even with its strength, porcelain tiles have a high gloss or matte finish, so it displays colors very well. A stone imitation finish can also give the room a rustic or outdoorsy feel with the right accompanying decor. Of course, a textured natural stone imitation works best as a wall tile rather than floor, but you can combine textured and smooth porcelain tiles to create some consistency throughout a kitchen or bathroom.